Nighthawk Publishing was formed in 2000 as the Editorial wing of the FIRE Project. Since its formation, the volunteers staffing Nighthawk Publishing have provided editorial oversight to the on-line portals of the FIRE Project and been responsible for publishing eNewsletters, eMagazines, and eBooks on a range of subjects and in support of the objectives for the FIRE Project. The software developed for production of electronic publishing material is able to produce printed paper editions of selected titles. These paper books have been printed using OnDemandPrint systems and volume press-printed books in hardback and softback bindings. 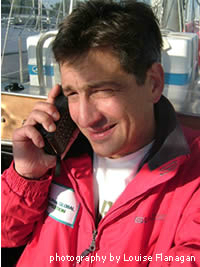 Conrad Natzio designs and builds boats for river, lake and estuary sailing. His home build designs have been used by a very large number of people across the world. 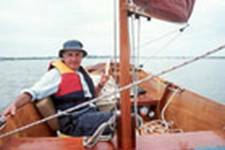 Many home builders have never built a boat before and have very basic woodworking tools. 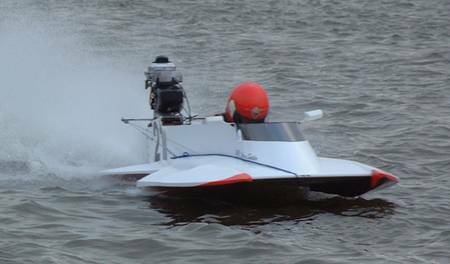 The designs are so easy to build that one of then was the subject of a speed building contest during a boat show with raw materials to finished boat in the water in two days. Craig Speller is 4 times OSY 400 World Hydroplane Champion and 2007 sees him trying for a fifth title in a new hydroplane built for the attempt. The Alpha Global Expedition is one man’s quest to achieve a vertical circumnavigation. This had never been attempted before. Previously all attempts to circumnavigate by sea from the voyage of Magellan and Drake have been horizontal West to East or East to West voyages. It is only in recent times that Slocum, Chichester, and Knox-Johnston have attempted single-handed voyages of horizontal circumnavigation in yachts. Very recently, horizontal circumnavigation has become almost commonplace with several very expensive racing yachts battling round against each other. Adrian started out from the United Kingdom in October 2005, rounded Cape Horn into the Pacific and headed North to the Bering Strait, prior to attempting the first non-stop single-handed voyage through the Russian Northern Sea Route to the Norwegian Sea and home to Britain.